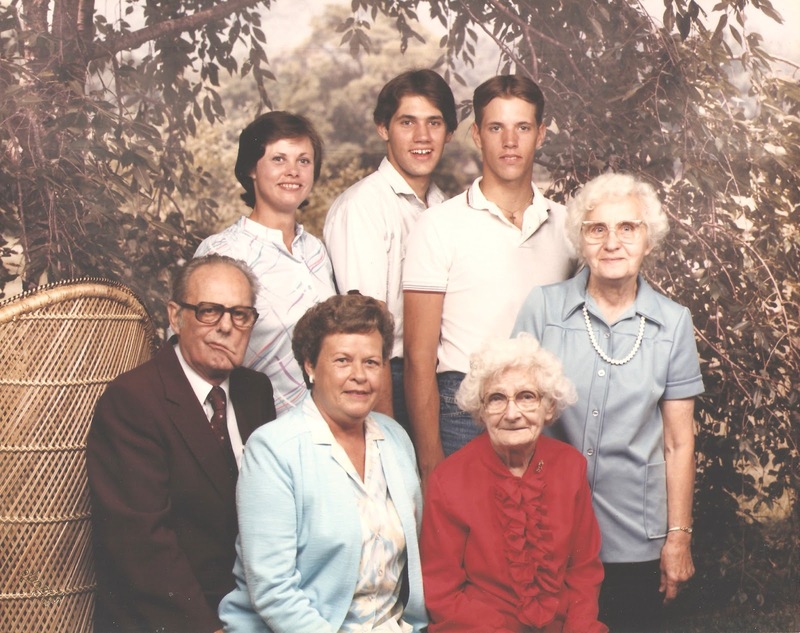 Thirty years ago this summer, August 1985, my Mom made it a point to get my grandparents, great grandmother, great aunt, my brother, herself, and me to the local Olan Mills studio in town for an extended family portrait. My Mom said that the sitting was something she wanted done - she made it a priority and it happened. Good thing, two years later my grandfather would lose his battle with leukemia, and my great grandmother would pass away the next year. Today my brother, Mom, and I are the only surviving family members. My copy of the portrait is out where I can see it every day. The relevance of this portrait to this post is that one thing we did well as an extended family was spend time together. Fortunately, we all lived in neighboring cities, making frequent time together possible. While we really didn't say it out loud much, if at all, I like to think we had a good multi-generational family and I strive to improve upon that as best as I can. This post is part two of a four part series called Family Waypoints, priorities / landmarks on the adventure journey as we lead our family and live out our mission and calling. Waypoint #1 is Authentic Worship. Waypoint #3 is Worthwhile Learning and Waypoint #4 is Excellent Life Experiences. For me, as a group they help me live out my family mission statement "Together we discover, nurture, and fulfill God's call on our lives." They could help you too. And you shall love the Lord your God with all your heart and with all your soul and with all your strength. The second is this: You shall love your neighbor as yourself. There is no other commandment greater than these. Like anything worthwhile, the discipline of love is a skill to be learned, it does not come naturally, and we who take it seriously often believe we fall way short. Maybe so. But we have to start somewhere. My family of origin did some things well, such as spending time together, but some other things not so well, such as going deep into conversation. I'm the same way now that I'm all grown up with a family of my own. My hope is to be more Christlike in my family leadership than the generations before me; and that my children will be more Christlike than I in their family leaderships. How do you apply this to your own situation? This takes some analysis of where you are. In addition to the example I described above, I also can get distracted easily. A baseball game on TV, thinking about an unsolved challenge at work, or if I'd rather pursue something I'm interested in - I can think I'm doing a good job as long as my family and I are in the same proximity. Quality Time is my primary love language. Instead, I would do well to make sure my attention is not divided.